When you Google: Fractal Softworks, the first thing that pops up is: Starsector, which was first named: Starfarer. The reason behind the name-change from Starfarer to Starsector could have to do with one of two things. The first being the face that Roberts Space Industries already used the name, or the fact that it’s a class of ship in Star Citizen. Remember Star Citizen? The Kickstarter project that had millions thrown at it, and then dropped the ball time and time again. 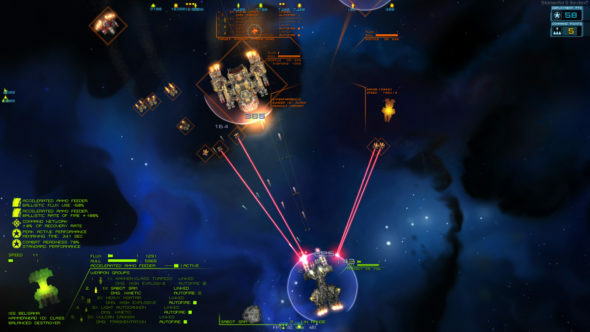 That project has been abandoned, so the developer of Starsector not wanting their game have anything to do with that flop is more than understandable. Imagine humanity thriving and booming, having colonized several planets and galaxies even. Having the luxuries of being able to traverse vast distances with spaceships built around highly technological wonders is now a thing. So a trip to Mars is like crossing a street that’s about 2 feet wide. Of course you’d get complacent, like how people right now are putting their whole lives on social media and betting their all on crypto currencies. Now imagine what would happen if those were to disappear, not just slowly, but instantaneously, no warning, no way to back up anything. Things would escalate into chaos. Disorder would spread like a disease and it would be the wild west all over again. All of the above is the premise of Starsector. Humanity did well in space travel until their interstellar Gate System went kaput, grinding their network to a halt. Like Brexit on an even more massive scale, spanning whole systems. The ‘Collapse’ as this event has come to be known by, is something humanity is now trying to overcome and make their piece of the ‘skies’ habitable again and recover from the cataclysmic event. The arching story is not something you’ll find in the game, you will however find the story of your pilot and how his or her actions shape their piece of the galaxy. This makes it so the vastness of space doesn’t over-compass your own story and makes it more personal to the player and helps them relate more to their crew. It’s great because space has a tendency to overwhelm with this sheer endless amounts of possibilities. 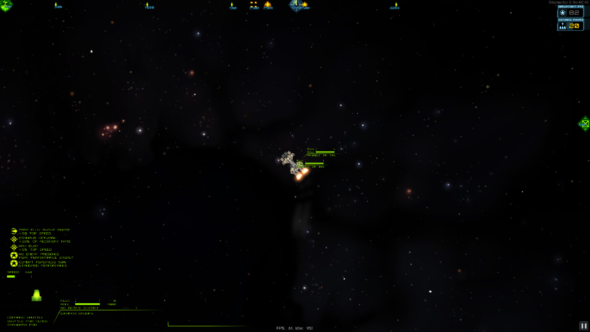 Closer inspection of Starsector makes it apparent that the game is not fully 3D rendered and more pixelated. When you zoom in, you’ll see that the vessels you control, are actually quite detailed. The developers have made it so that you as the player can make them out when fully zoomed out and still have them be distinct enough from a distance, while not making them look shoddy as you zoom in by making every single different type of spaceship different. The way they look also conveys their role more or less. More bulky ships are great at tanking damage and holding cargo, while the smaller ones are more speedy glass cannons. Upon first booting up the game, you can choose the resolution you’ll play on, and it shows that the developers are betting on a very large amount of different players, because all sorts of monitor sizes are in the list, from the laughably small, to the bigger sized full 1080 inch screens. When playing a game set in space, it’s easy for the developer to just program the sound of the thruster engines, the pew pew pew of lasers, the sounds of rockets and a Sci-Fi sound for a shield and leave it at that, seeing as space is a void with no other sounds to be heard. Fractal Softworks, did a little bit more than just skim on that part of the game. Even though it’s not finished yet the musical score you hear when playing sets the mood just fine, and though the song loops, it’s nothing obnoxious and the game gets away with it just fine. Voice acting would be cool, but there are vast swathes of text so recording that would probably drive up the cost of the game and would cause the game to lack its cost effectiveness. So you’ll have to read it if you want to get to know what’s what. Starsector is very much a thinking man/woman’s game. There’s the constant conflict between risk/reward. Should you best lay low and scavenge debris fields with a slim chance of being attacked by pirates. This wouldn’t haul in the big amounts of resources you might need but it is a lot safer. You could take on enemies and get a hold of their precious cargo, but you might also lose a lot in the process. Then there’s the progression system with the RPG elements, where you level up by completing quests, or coming out of battle alive, on which we have to think over where to attribute the stats gained by it. There’s action in this game too, but even if you aren’t an apex predator and can’t control your vessels well in real time combat, it can be played with a set of commands where you tell your crew what to do. In the end there’s more than one way to skin a space piggy. Even though the game isn’t finished yet, it shows a lot of potential. 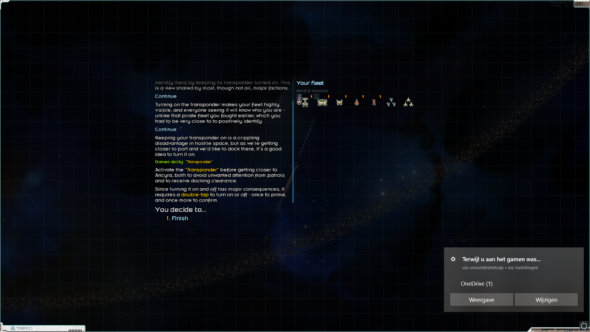 Starsector does what Star Citizen doesn’t. It delivers large amounts of gameplay while the game isn’t even out yet. Though there is action in the game, there’s also quite a bit of thinking involved. So beware space mavericks, Starsector isn’t all about blowing up every spaceship you encounter, and sometimes holding off on the trigger is the way to go about things. If you want a great time sink, then keep this game on your radar.